A couple of weeks ago I was channel surfing and ran across the special documentary C-Span did on the White House. It was an amazing look at book the history and the function of the most public private residence in the country. 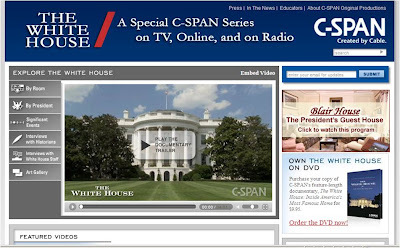 Today on Twitter I saw a tweet from Gina Hartman stating that teachers can get a free copy of the White House on C-Span DVD by registering on their site here. This was a great program and would be a great addition to an teacher's DVD collection. Thanks to Gina for the tip!